You want to own your water - does your MP? Switch to public energy today! This guest blog was written by Sue Ferns, Deputy General Secretary at Prospect union. There can be few people who don’t make use of the BBC’s weather forecasts. But in late August the BBC made it known that it would not be renewing the contract for this service when it comes due in April 2016. Strangely this information came into the public domain at a relatively early stage of what is supposedly a confidential tendering process. How strange too that an arrangement that has worked well for more than 90 years, involving two of the UK’s longest standing and most trusted public service providers, should suddenly be deemed unfit for unfit for purpose. Stranger still when you consider that the Met Office re-won this contract just 5 years ago because of its recognised ability and commitment to deliver a high quality public service with accuracy, consistency of data and flexibility. So, you may wonder, what has gone wrong in the last 5 years? Well, there doesn’t appear to be an answer to this question – or at least not one based on evidence – though we know of course that both organisations are under political attack. Prospect believes that Government should call a halt to this process, at the very least so that there is transparency about the procurement arrangements and decision-making criteria. But there also needs to be a more fundamental rethink about what is going on here. The Met Office’s main concern is to ensure public safety. It works with the police, fire and rescue services and local authorities on COBRA - the Government's emergency committee set up to respond to a national or regional crisis. The importance of this joined up public service response was clear for the whole nation to see during the winter storms of 2013/14. But this work is just as important at local level, for example in ensuring that social services can get through to vulnerable people during severe weather episodes. Similarly, the knowledge that severe winds can cause widespread power cuts, structural damage and possibly fatal injuries focuses forecasters on pinpointing the main areas of risk. First, it has a super-computer that allows forecasters to have an immediate focus on changes in local weather patterns. Second, this data is interpreted by professional scientists. You may not realise but every time you watch or listen to a BBC weather forecast, you’re benefiting from a specialist interpreting scientific data who is able to understand how it changes minute by minute. 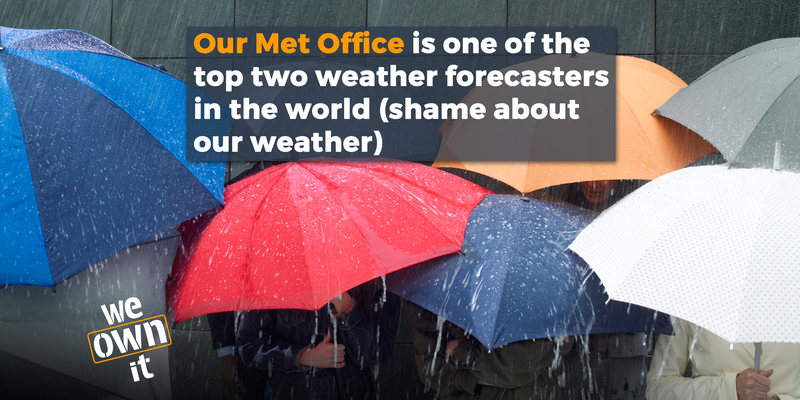 This is capability unique to the Met Office. So much so, that if the BBC proceeds with its plans, it will have to pay another organisation to use the Met Office data. It is quite simply wrong to assume that an approach focused on driving down BBC cost in this area would deliver value for taxpayers’ money. The work will still need to be done to safeguard the UK’s public forecasting capability, and it plainly cannot be efficient to pay for something twice. On 28th August Prospect wrote to Jo Johnson, the Science Minister, and Ed Vaizey, Culture Minister, to ask them to intervene. As yet, we have had no response. In stark contrast, on 14th September the TUC conference unanimously agreed to lobby the Government to intervene before it is too late. We’re delighted to have this wider support and hope that others will join in too. Please sign the petition asking the BBC to reconsider its decision. We're going to take our services into public ownership. Are you in?